WASHINGTON — Military officials have approved distribution of OutServe’s gay-themed military magazine for distribution at Army and Air Force base exchanges starting next month. It’s the first publication of its type to reach the exchange shelves and the mainstream military audience. Officials from the gay rights advocacy group, whose 4,000 members include active-duty troops and veterans, said the next edition will be available on Sept. 20, the same day that the “don’t ask, don’t tell” law is fully repealed. The issue will feature profiles of nearly 100 group members publicly acknowledging their sexual orientation for the first time. The September issue is the third edition of the magazine, launched last spring. So far print copies have been made available at select military locations, such as public meeting areas and physicians offices. 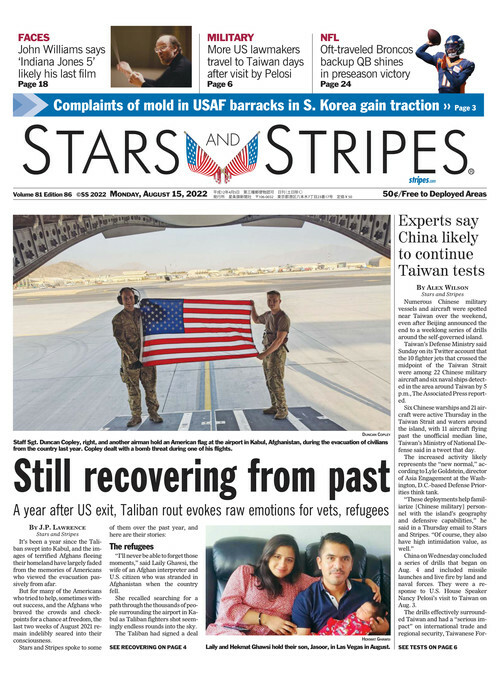 Officials with OutServe wouldn’t reveal which bases would be the first to receive the September issues. The group has expanded its online magazine website – www.outservemag.com – with videos and blogs from some of the individuals profiled.